Pitch slapped: There’s been mumbling about crazy valuations in the tech arena for months now, but the bubble began to take real shape this week as Boston-based mutual fund giant Fidelity downgraded the value of its Snapchat and Dropbox holdings by 25 percent or more. Fidelity has been one of the biggest players in the late-stage funding rounds that have helped venture-backed startups get $1 billion-plus valuations without going public or selling to Google or Facebook. But the funder has clearly decided there’s a little too much froth out there. And it turns out the cuts weren’t limited to Snapchat and Dropbox. Just out, the investment firm also trimmed the value of its holdings in Zenefits (by 48 percent), Blue Bottle Coffee (43 percent) and Appirio (31 percent). NYC startups were not spared: Dataminr was marked down 35 percent and AppNexus saw a 26 percent cut that revokes its membership in the $1 billion unicorn club. Ouch. Uber, the biggest unicorn of all, was kept even at $51 billion, while SpaceX, Elon Musk’s rocket company, got a 15 percent boost. Unlike venture capitalists and other private investors, mutual funds are required to report changes in the value of their holdings. Most interesting here: Fidelity didn’t wait for a new funding round or IPO pricing to announce the valuation change, as is typically done. On the other end of the spectrum, meet Eddie Cross, hard-working maintenance guy at Nassau University Medical Center who has finalized his design of an automatic blower device that keeps lavatory floors – and foyers and hallways and you name it – dry. Patents are pending, but he’s looking for help, Innovate readers. Jobs: Luminati Aerospace is looking for senior developers and avionics engineers for its secretive communication drone project at Calverton. Advanced degrees in computer science and engineering a must, experience in robotics good to have, discretion required. 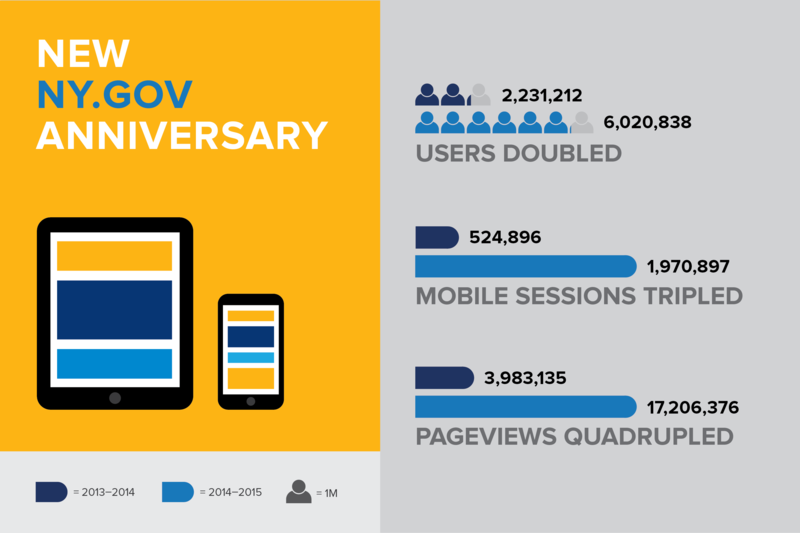 Much like InnovateLI: Albany announced record-breaking growth and traffic at New York State’s official website. Comparatively, users doubled, mobile traffic tripled, page views quadrupled and the rate at which visitors leave the website is down by over 20 percent. Stuff we’re going to: The LI STEAM Conference, Nov. 17, LaunchPad Huntington, free for all. Live music, beverages. Also: The LIA teams up with the New York State Wireless Association for “Long Island’s Rapidly Growing Demand for Wireless Technology,” Thursday, Nov. 19, 7:30 a.m. to 10 a.m., Melville Marriott, free. And: Molloy College hosts the 2015 College Business Pitch Night, lightning pitches, cash prizes and celebrity judges including Mark Lesko, Harvey Brofman and others, Tuesday, Nov. 17, 7 p.m. at Molloy’s Madison Theater. Free but please register. As well as: Award-winning illustrator Peter de Sève (Ice Age, Mulan, Finding Nemo et al), displays at Farmingdale State College’s Memorial Gallery, Nov. 23-Jan. 8, with a lecture on Dec. 8, Gleeson Hall, 3:05 p.m. to 4:20 p.m., reception to follow. Not sure who you gotta call, but we’ll get back to you. Plus: ACIT salutes local tech entrepreneurs, Dec. 9, 11:30 a.m. to not quite sure, Crest Hollow Country Club, Andrew Hazen keynotes, Kominicki MCs, honoring ADDAPT, Astoria Bank, Teq, Cold Spring Harbor Lab and NYIT student Steven Patrikis, an Innovator of the Year winner. $160 for nonmembers. Reach out to Bonnie Seider at bseider@acitli.com. ABOUT OUR SPONSOR: The Long Island Business Development Council has helped build the regional economy for more than 45 years by bringing together government economic development officials, developers, financial experts and others for education, debate and networking. Nassau County Executive Ed Mangano keynotes the group’s Nov. 24 dinner at Crest Hollow. For details visit libdc.org. Digital Fly, the school security startup we profiled a few months back, has wasted no time in pivoting into new verticals, then signing up a respectable stable of school districts here and in a handful of other states. Even South Africa. Not to jinx it, but there’s a possible HP deal brewing, too. Speaking of big doings, Calverton-based baking queen Michelle Gillette Kelly has a mega-deal with a major national retailer, can’t say who until after Thanksgiving, that will take her line of Ms. Michelle’s gluten-free goodies national. Streaming ahead: Netflix plans to spend up to $50 million to finance a film being co-produced by actor Brad Pitt, establishing the former DVD mailing company as a legitimateproduction studio. Phone a friend: Buzzfeed has launched an app called Quiz Chat that allows users to compete with each other over Facebook Messenger. Let’s see who blinks: The Daily News is threatening to go all-digital if the union representing the paper’s drivers refuses to ratify a four-year contract extension by Nov. 20. Lovingly covered by the Post. Navigating success: Uber cut a deal to use maps from Dutch firm TomTom in its smartphone apps. The ride-hailing company had tried to buy Nokia’s mapping arm, Here, earlier this year – for $3 billion – but lost out to a consortium of German car makers. Staying over: Airbnb, fresh from its smack down of the opposition in San Francisco, is mounting a PR offensive in NYC. Data Point 1: Airbnb users contribute $1.96 billion to NYC’s economy annually. I would’ve gone with Skadden: DraftKings has hired LA mega-firm Gibson Dunn as counsel in its face-off with New York Attorney General Eric Schneiderman. Related: TopLine Game Labs, which operates fantasy site DailyMVP, will stopallowing users from New York to enter its paid contests, even though Schneiderman has not issued them a cease and desist order. Yet. Y we do what we do: From the Y Combinator startup instruction manual: “The faster you can develop self-belief and not get dragged down by the haters, the better off you’ll be. No matter how successful you are, the haters will never go away.” All top 62 tips, many T-shirt worthy, are here. Dear John, Joan, etc. For $10, The Breakup Shop will send your significant other a text alerting him or her of the official cessation of your affection for them. Emails cost the same, actual Dear John letters are $20. Stayin’ alive: The latest edition of the Orbital Debris Quarterly News is out. And, yes, there were two more International Space Station avoidance maneuvers. Attention Ruchi Shah: Victoria’s Secret Bombshell perfume beat out all other contenders in a test of mosquito repellents. We suspected this: Cockroaches bite with 50X their body weight.